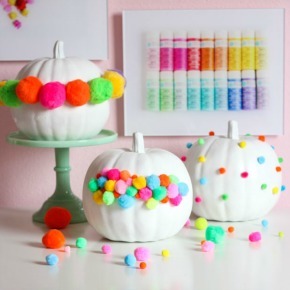 It’s Day 2 of Pumpkin Week and I’ve got a colorful Day of the Dead pumpkin idea for you! 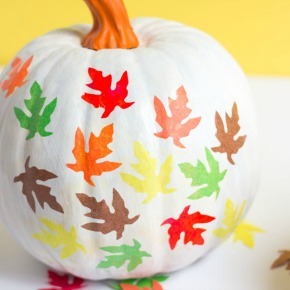 While there is no carving required, there is a little bit of coloring involved as this one includes a cutout from an adult coloring book! 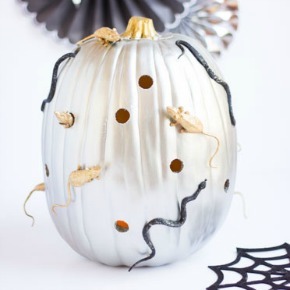 Read on to see this fun project I did for Oriental Trading and more Halloween pumpkin decorating ideas. 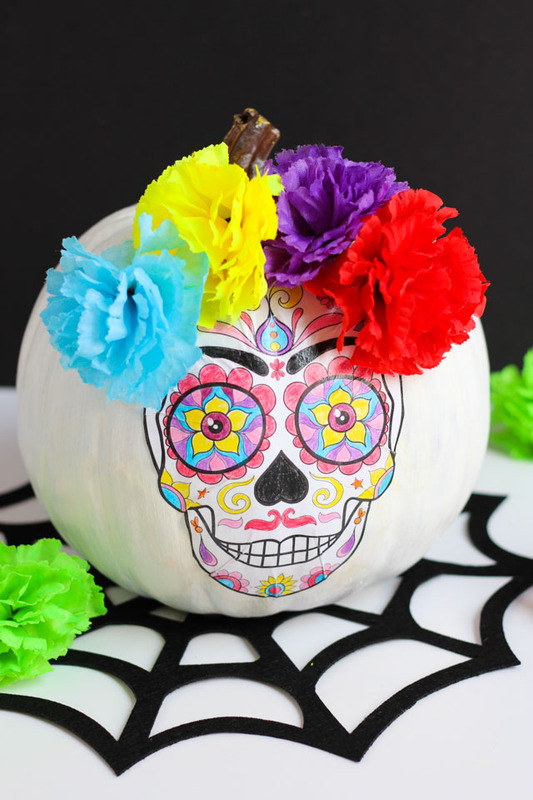 Day of the Dead decorations are a fun way to inject some color into the typical black Halloween decor. 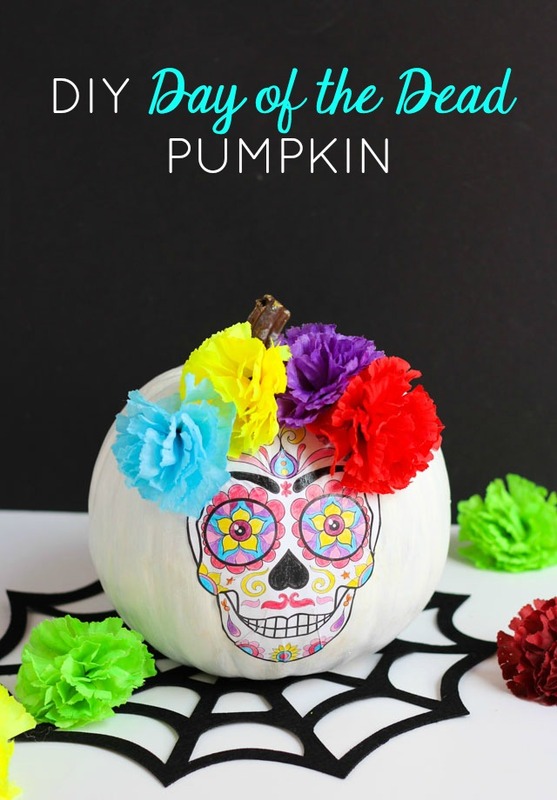 I love the brightly colored sugar skulls and floral accents that the holiday is known for. Last year I created an entire Day of the Dead mantel but this is my first DIY Day of the Dead pumpkin! 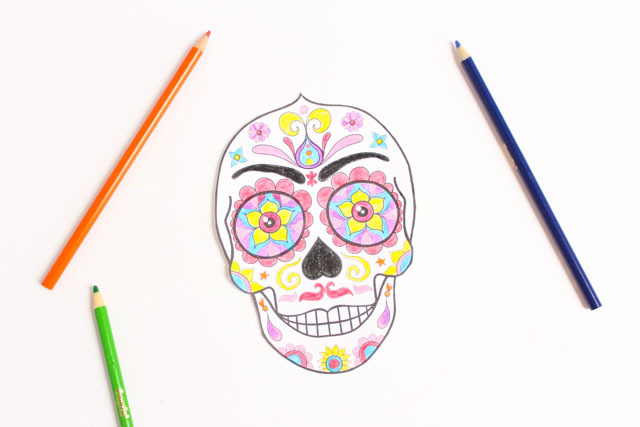 I was inspired by this Day of the Dead Adult Coloring Book. 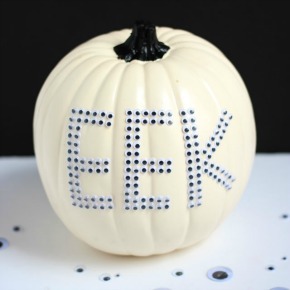 I found a skull that fit my faux pumpkin, cut it out and colored it, and then added it to the front of the pumpkin with Mod Podge. So easy! 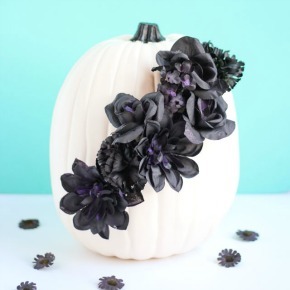 I finished by giving my pumpkin a bright floral crown. 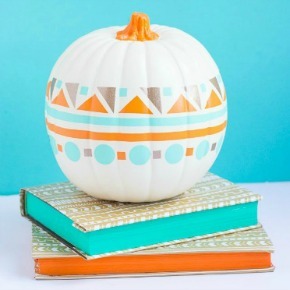 If you are an adult coloring fan, you can use any picture to decorate a pumpkin. It doesn’t have to be a skull! 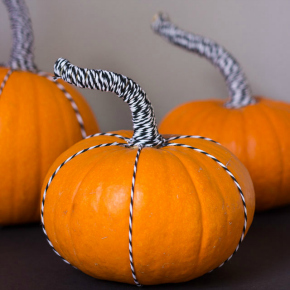 The thinner the coloring page paper the better for forming around the pumpkin. If the paper is too stiff it can wrinkle. Scanning your coloring book image onto thinner computer paper can help! I also found that using colored pencils instead of markers worked great as the colors did not bleed when coated with Mod Podge. 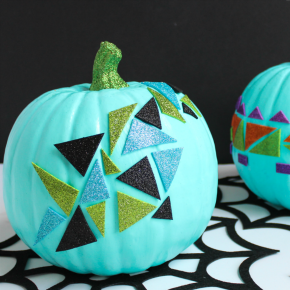 Head to Oriental Trading’s Fun 365 site for the step-by-step Day of the Dead pumpkin tutorial and a full list of supplies!